Come join your colleagues in Northern Minnesota for a chance to network, learn and share with one another while having your voices heard! GRAPh’s hosts are MPhA members Heather Bibeau and Sara Elioff of Bigfork Valley Hospital & Clinics. You’ll have the opportunity to mix, mingle and visit with exhibitors and other health professionals while sharing fellowship before the dinner program. We have joined with Novo Nordisk and you’ll have a 2 for 1! 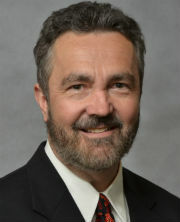 You’ll hear Dr. Eric Johnson of Associate Professor in the Department of Family and Community Medicine at the University of North Dakota School of Medicine and Health Sciences discuss the need for effective and efficient diabetes management across the health care continuum. Then MPhA President-Elect Jason Varin and Interim Executive Director Marsha Millonig will provide an update on Minnesota Pharmacy’s advocacy efforts in 2018-2019 and lead a Town Hall. You can also share your thoughts and ideas for both future GRAPh and MPhA events. We look forward to seeing you there! List two of the Minnesota Pharmacy Alliance’s 2018-2019 legislative initiatives. Describe MPhA’s 2018-2019 legislative initiatives. Determine three ways you will become involved in moving this agenda forward. The diabetes epidemic places an ever-increasing demand on the health care industry to provide better medical care at reduced costs. To meet this demand, the inpatient, outpatient, and long-term care (LTC) settings face unique challenges and opportunities in terms of improving diabetes-related care. Through the exploration of one or more settings, the audience will come to appreciate that optimal patient outcomes are best achieved with a comprehensive team-based care model. This consolidated health systems deck allows the speaker and audience to select one of four disease awareness presentations (inpatient, outpatient, LTC, or Diabetes Management and Effective Use of Insulin in the Inpatient Setting), depending on the participants’ interests and practice settings. Prior to joining the College of Pharmacy, Jason practiced as a community pharmacist for 22 years. As a student and then PIC at Snyder's in St. Louis Park, he was part of the team that was one of the original sites for the "Minnesota Pharmaceutical Care Project". During the 18 years that he practiced at Cub Pharmacies, he helped develop the clinical pharmacist role and created a formal experiential program by recruiting and supporting an incredible group of preceptors. Jason is currently serving as Interim Associate Dean for Professional and External Relations and is also Alumni Relations Director at the University of Minnesota College of Pharmacy. He strives to connect alumni, preceptors and all pharmacists in Minnesota to the College. Dr. Heather Bibeau lives in rural Grand Rapids and is the Director of Outpatient Pharmacy services alongside her twin sister, Dr. Sara Elioff, the Director of Inpatient Pharmacy services at Bigfork Valley Hospital in Bigfork, MN. 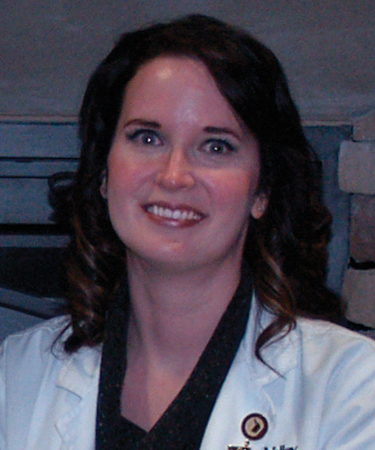 She has a background in community and long-term care pharmacy practice. 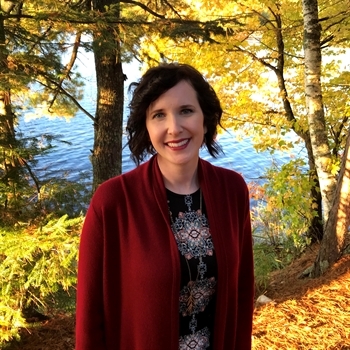 Heather received a Bachelor’s degree in Biochemistry with a minor in Biology from the College of Saint Scholastica and her doctorate from the University of Minnesota College of Pharmacy in Duluth in 2010. She oversees participation in the 340B program as a contract pharmacy and the operation of three telepharmacies in rural Minnesota as the pharmacist-in-charge. She also serves as a consultant pharmacist for the Minnesota Department of Corrections. She is dedicated to spreading awareness and preventing prescription drug abuse in her community. She began a drug take-back program at Bigfork Valley Hospital and educational discussions with the community and high school students. Most recently, she held an at-large position on the board of the Minnesota Pharmacists’ Association and is an active member. She is also the coordinator of the Grand Rapids Area Pharmacists (GRAPh) group and provides educational opportunities to her peers. She has a passion for mentoring and precepting future pharmacists. Dr. Sara Elioff lives in Marcell and is the Director of Inpatient Pharmacy services alongside her twin sister, Dr. Heather Bibeau, the Director of Outpatient Pharmacy services at Bigfork Valley Hospital in Bigfork, MN. She has a background in hospital and long-term care pharmacy practice. Sara received a Bachelor’s degree in Biochemistry with a minor in Biology from the College of St. Scholastica and her doctorate from the University of Minnesota College of Pharmacy in Duluth in 2010. Sara is a member of MPhA and a co-coordinator of the Grand Rapids Area Pharmacists (GRAPh) group. This event is hosted by GRPh and Novo. Any direct competitors of this organization are asked not to register for this event. If registration already has been submitted, MPhA will provide you with a full refund.